shaped/carved cakes take a lot of time to create. Prices start at $5.00/per serving and price may increase depending on the design. Please make sure to put your order in for any shaped cake at least 2-3 weeks prior to event to make sure I have availability. flavors offered chocolate filled with vanilla buttercream(traditional), pumpkin filled with cinnamon buttercream (seasonal-fall/winter), and red velvet filled with cream cheese. 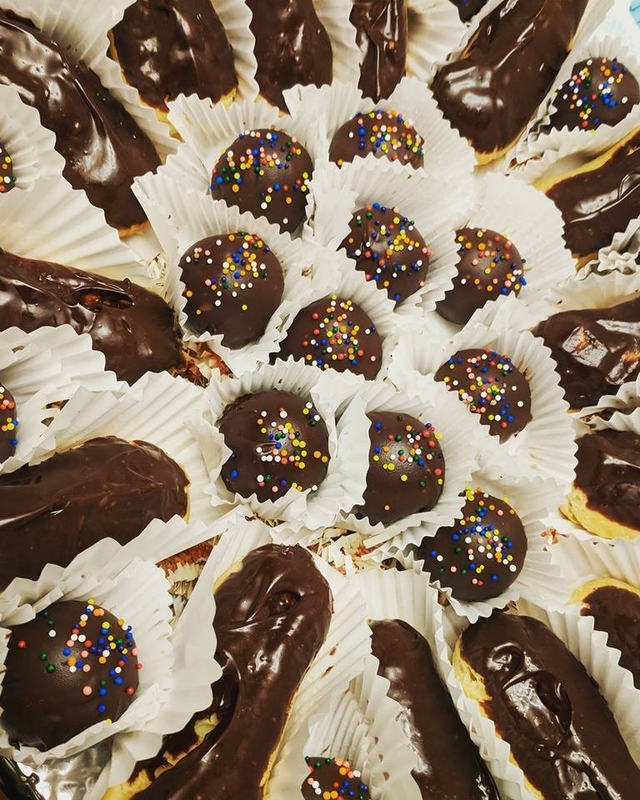 Each platter comes with a dozen vanilla cake balls covered in chocolate ganache and a dozen eclairs filled with vanilla pastry cream and dipped in chocolate ganache. Witches cauldron cake offered in vanilla or chocolate cake. Offered during the month of October.